I don't recall the first time I was made aware of the Garifuna people. However, I know the exact moment when I realized I had this heritage on both sides of my family. In Caribbean, as with African and most indigenous cultures, oral storytelling played a big part in how one's history was passed along. 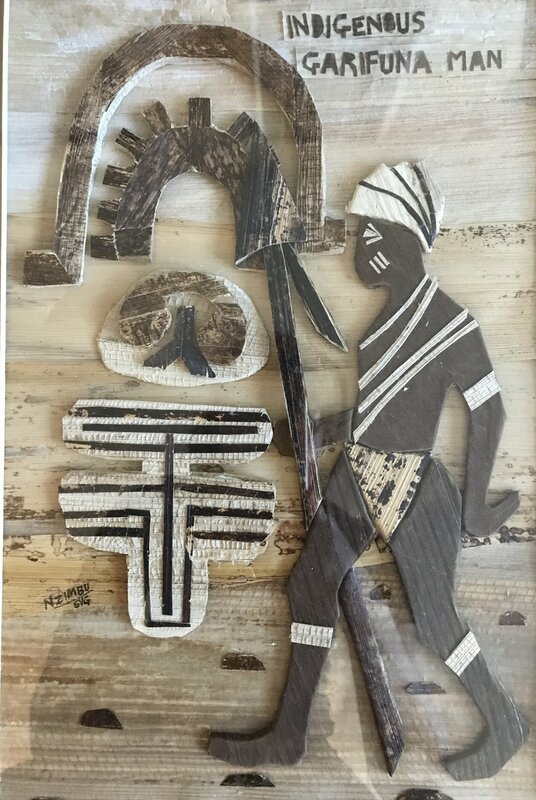 True to our roots, I learned the full journey of the Garifuna people 3 years ago when my uncle, BT, gifted me with this local artwork from St. Vincent and the Grenadines (where my maternal side is from) as a wedding present. The Garifuna are Indigenous with a mixed-ancestry of West African, Central African, Island Carib, European, and Arawak people from St. Vincent, and were exiled in the colonial period to the Caribbean coasts of Central America. In today's ALL AH WEE, I shared how the gifting of this piece not only piqued my curiosity but serves as a daily reminder of my family's rich heritage. I'm still learning more about Garifuna Culture and history and look forward to partaking in the annual Garifuna celebration in Belize, which includes a reenactment of the Garifuna's voyage from St. Vincent to Belize, in the near future!